(TibetanReview.net, Oct12, 2017) – The Task Force on Sino-Tibet Negotiations of the Central Tibetan Administration (CTA) at Dharamshala, India, was stated to have taken up for discussion the recommendations of the ‘Five-Fifty Forum’ brainstorming session for a Tibet vision for the next five and 50 years that was held at Dharamshala over Oct 6-8. 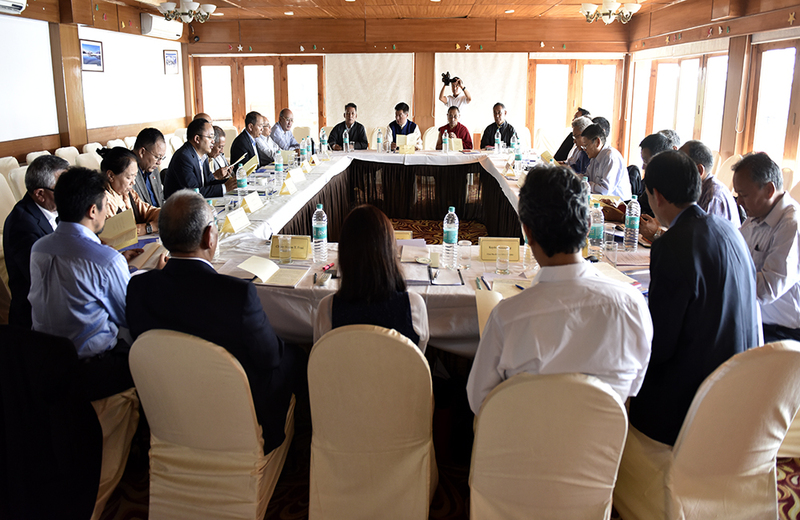 The task force meeting, the 29th since 1999, was held at Dharamshala over Oct 9-10. While the recommendations have not been published, inasmuch as the brainstorming session itself was held behind closed door, it is understood that the forum excluded any discussion on independence for Tibet, for it was restricted squarely on finding ways to achieve autonomy for Tibet under Chinese rule. And so, “while expressing continued commitment to the Middle Way Approach to resolve the long standing issue of Tibet and to negotiations between envoys of His Holiness the Dalai Lama and the representatives of the Chinese leadership,” the 185 participants from 21 countries at the forum offered “suggestions, advice and way-forward strategy on future course of action in light of the upcoming 19th Congress of the Chinese Communist Party,” said the CTA on its Tibet.net website Oct 11. The Tibet.net statement said the task force meeting, chaired by President Lobsang Sangay of the CTA, was attended by 19 members and four special invitees. The Five-Fifty vision postulates planning a five-year goal to achieve a return to dialogue and negotiations with China and, should that fail, to plan for another 50 years of resistance to China’s occupation, systematic repression and attempted cultural genocide in Tibet.